These were really a lucky coincidence – I still had some leftover blue cheese to use up, we’d bought bison at Costco with no particular plans for it, and I was seriously hankering for a burger. Making a burger felt like a big treat (just like making pizza does!). Maybe it’s because burgers are something you have out, or at a fun barbecue, but they’ve never been something I make “just because.” In fact, I’d never made hamburgers before! Most blue cheese burger recipes I could find all did the same thing: made a patty with a blob of blue cheese in the middle. I’m all for a gusher-style food, but I wanted the blue cheese to permeate the entire burger and be more present in each bite; therefore, I mixed the blue cheese in with the bison completely. It made each bite delicious – with a bit of blue cheese, but not overpoweringly so! I also addressed on of my burger irritations: tomatoes and onions sliding out and being awkward. I hate it when you bite into a burger and have to pull out the entire onion with that one bite! I decided to dice my tomato and onion, mix them together, and then add them like a salsa to the top of the burger! It worked splendidly. Put these on my rosemary brioche buns, and you have yourself a crazy delicious meal! 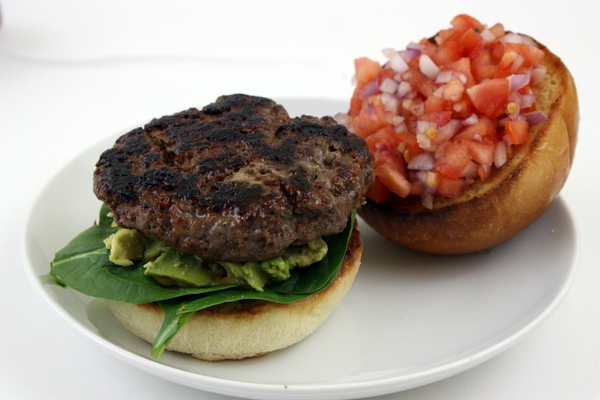 A healthy take on the classic burger with a lean bison patty and decadent rosemary brioche buns. Mix the diced onion and tomato together in a bowl. Set aside. 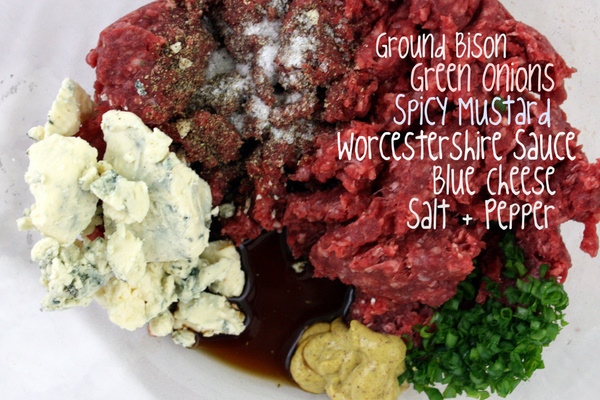 In a large bowl, mix together meat, blue cheese, Worcestershire, mustard, green onions, salt, and pepper. Form into patties and grill (or cook in a frying pan) to your desired doneness. In the meantime, spread each bun with a thin layer of butter and broil in high for 2 minutes, or until toasted. 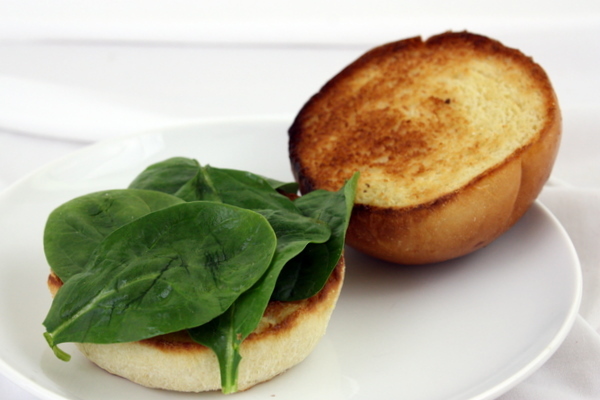 Arrange spinach on the bottom bun, topped with avocado. 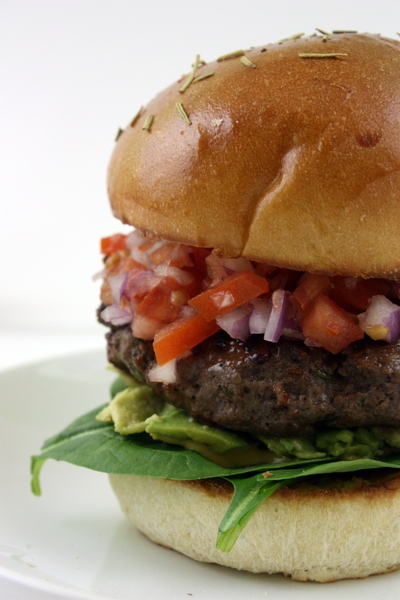 Place the burgers on top of the avocado, then top the patties with the onion/tomato mixture. Add other condiments as needed – mustard, ketchup, etc.